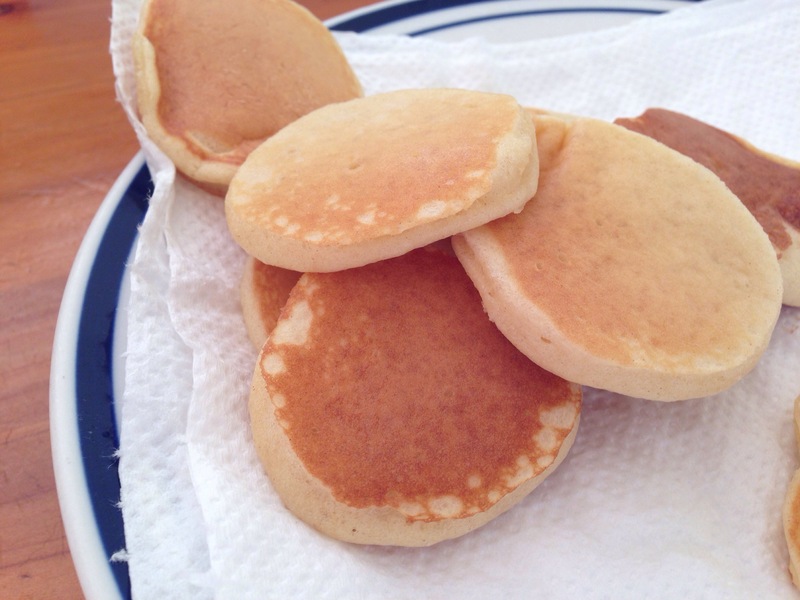 Pikelets (pronounced PYKE-let rather than the much cuter Pickylet) is a kiwi staple. Present at afternoon teas (this is the wonderful practice of every workplace stopping dead for a cuppa and baked good at 3pm) and suppers and breakfasts. They are quick to make and have only a few ingredients – the thrifty addition to any playdate or cake date. Add berries or bananas to make them healthier. Beat the egg and sugar until thick and add with the milk to the sifted flour, salt and baking powder. Lastly add melted butter. Mix until smooth and cook in spoonfuls on a hot greased frying pan. 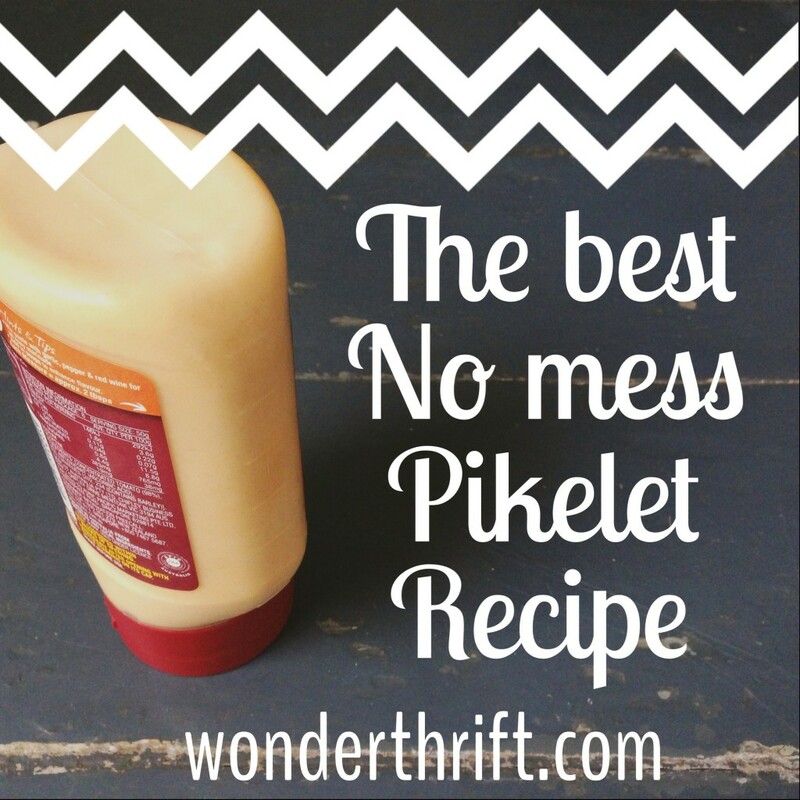 THRIFTY BONUS: Make a double batch and the second half fits perfectly in a ketchup bottle. Store in fridge and the next day fry up some more by simple plopping them into the pan straight from the bottle. No mess gloriousness!